Situated at the base of the world’s ninth highest mountain, Nanga Parbat, this road boasts some unbelievable views. But it is also a poorly-maintained, unstable and not wide enough for anything larger than a jeep. 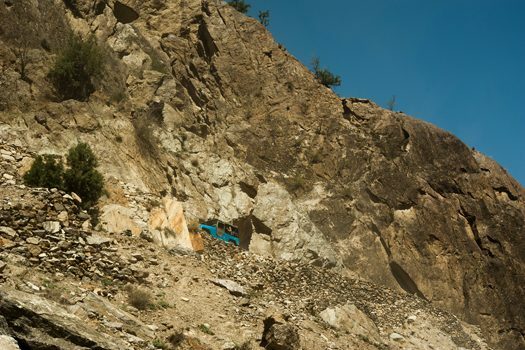 The six mile ascent up to Fairy Meadows – a section of grassland near one of the base camp sites for Nanga Parbat – is particularly risky with no barriers protecting vehicles that attempt the gravel track.